Wi-Fi has become a standard in airports worldwide. When you are traveling you expect to be able to access free Wi-Fi at any airport, but the quality is usually lacking. For people who are traveling while on business, Wi-Fi speed can put a damper on productivity, and for leisure travelers suffering long delays, Wi-Fi speeds can drive you crazy with boredom. Denver International offers the fastest internet in all of North America according to Speedtest. Denver has an average download speed of 78.22 Mbps and an average upload time of 78.29. This is almost 20 Mbps faster than all other airports in North America. Denver is also the 6thbusiest airport in the United States. Vancouver International Airport is next, with a download speed of 55.06 Mbps and an upload speed of 57.82. It’s a good thing the Wi-Fi is fast in this airport, as it is the second busiest airport in Canada. Philadelphia International Airport is close behind with download speed of 48.39 and upload speeds of 57.82. Even with some of the fastest speeds in North America, this airport ranks 20th out of 21 for passenger satisfaction. San Francisco International Airport has a download speed of 45.31 and an upload speed of 52.85. As the fourth busiest airport in America, it’s a good thing you can rely on the Wi-Fi. Seattle-Tacoma International Airport rounds out the top five with a download speed of 43.66 and an upload speed of 50.02. With over 45.7 million passengers a year, Sea-Tac is also in the top 10 busiest airports in the U.S. The slowest Wi-Fi speeds in North America can be found at Montreal-Pierre Elliott Trudeau International Airport. The average download speed is 1.92 and upload speed is 2.0 Mbps. According to Fortune, these speeds are less than 4% of the average Wi-Fi speeds in Canada. Hartsfield-Jackson International Airport is next with a download speed of 2.68 and an upload speed of 1.33. In 2016, ATL was ranked the number one busiest airport in the United States. Toronto Pearson International Airport is a close third with 4.31 in download speed and 8.60 in upload speed. Surprisingly, even with insanely slow Wi-Fi speeds, this airport has ranked among the top 10 best airports in North America. Minneapolis-Saint Paul International Airport is just ahead with download speeds of 7.06 and upload speeds of 4.9. MSP was also ranked the best airport of its size in North America for the second year in a row, so passengers must not be too affected by the slow Wi-Fi speeds. Orlando International Airport comes a long way from number one with 7.96 download speed and 10.42 upload speed. This airport is also top ranked for overall customer satisfaction. 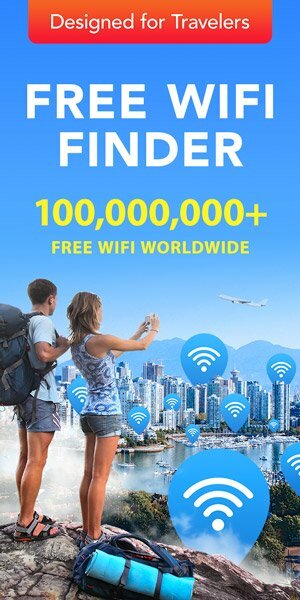 If you’re unable to find free Wi-Fi at an airport, or if they only allow you 20 minutes or so of free Wi-Fi, you may be out of luck. That’s why Wi-Fi Map was created, to help you find a connection anywhere you are. 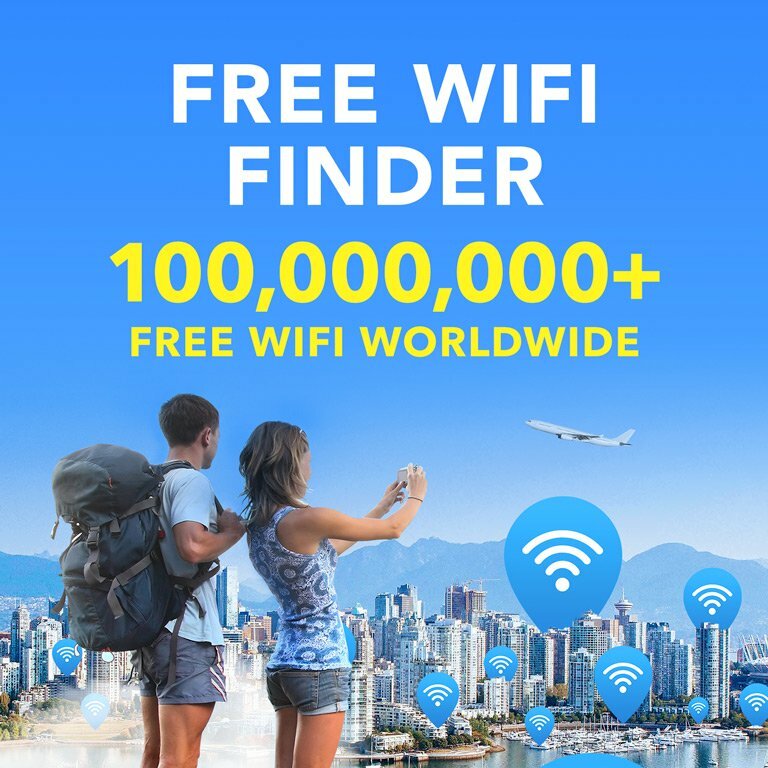 Download the app today and never find yourself in a situation without Wi-Fi again!